This incorporates everything I wanted in a skirt, but now I’m wondering why I picked such a dreary fabric for my wearable muslin. I like to line all my skirts. Isn’t it pretty on the inside? 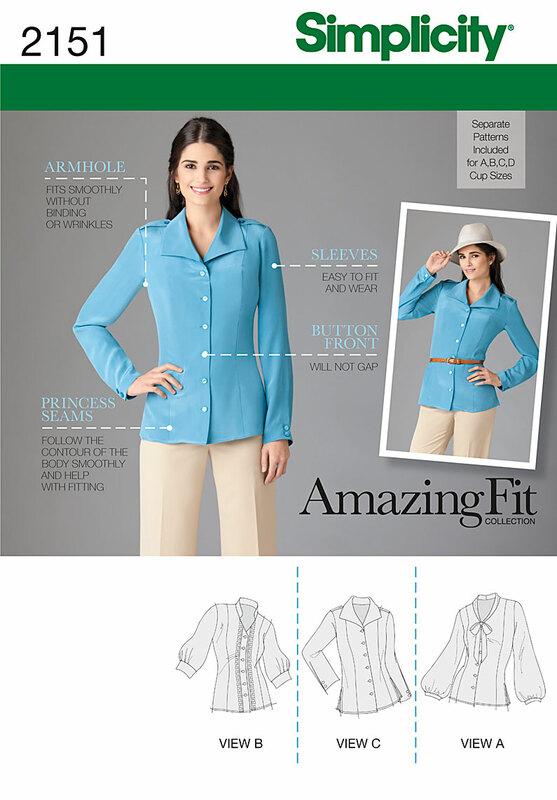 A contour waistband, the better to flatter my not-so-hourglass shape. Pockets. These days, a girl needs to take her cell phone everywhere. I have a navy poly-wool crepe ready to be made into a skirt to go with the Sencha silk top. I’d like to sew it up 2 inches shorter at some point. I’d like to construct it with an inverted center pleat. The four gores are cut on the bias, so I’m not quite sure how I’ll work that out. Speaking of bias, it cries out to be done in a stripe. I also want to make a version in navy with red or white buttons on the pockets and matching topstitching. Here’s the invisible zipper and waistband from the inside. 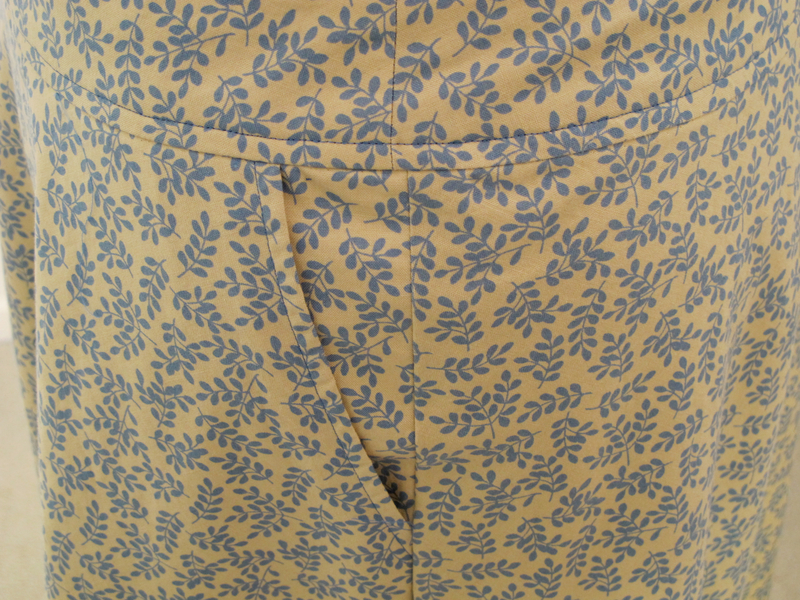 Detail on the inside of the contour skirt. I hand sewed the facing with a variation of a fell stitch. 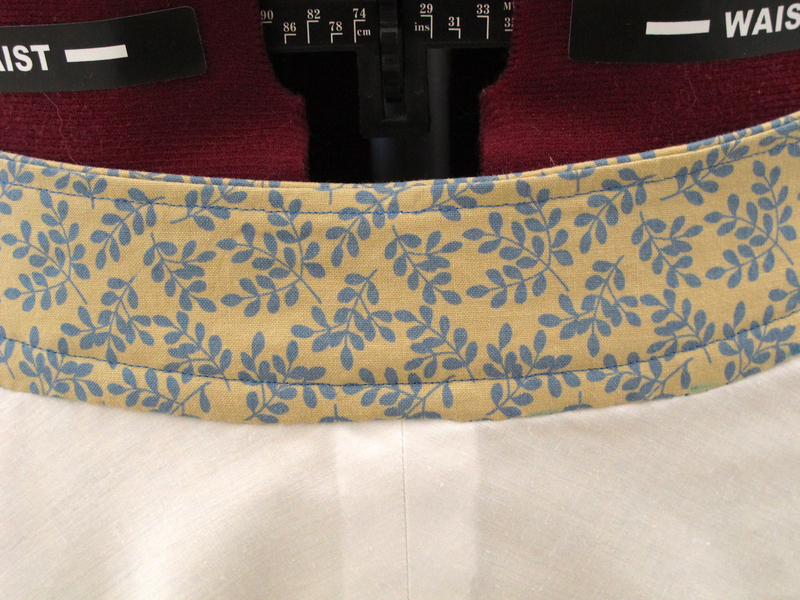 I pulled the waistband facing to the inside a little bit along the top seam, so it ended up too long at the bottom. I think next time, I’ll trim the facing a little all the way around. Pockets, so handy for a cell phone and whatnot. I got so excited about trying out my drafted-by-hand pockets that I completely forgot my plan to edge them in a self-fabric piping. Lame! I followed the zipper instructions exactly with regard to placement of the zipper stop and thus ended up with the dreaded hole between the zipper and the waistband. Gaaah! I HATE that. I’ll know better next time. At least the invisible zipper is invisible this time. That’s progress. Pins and needles are sharp! 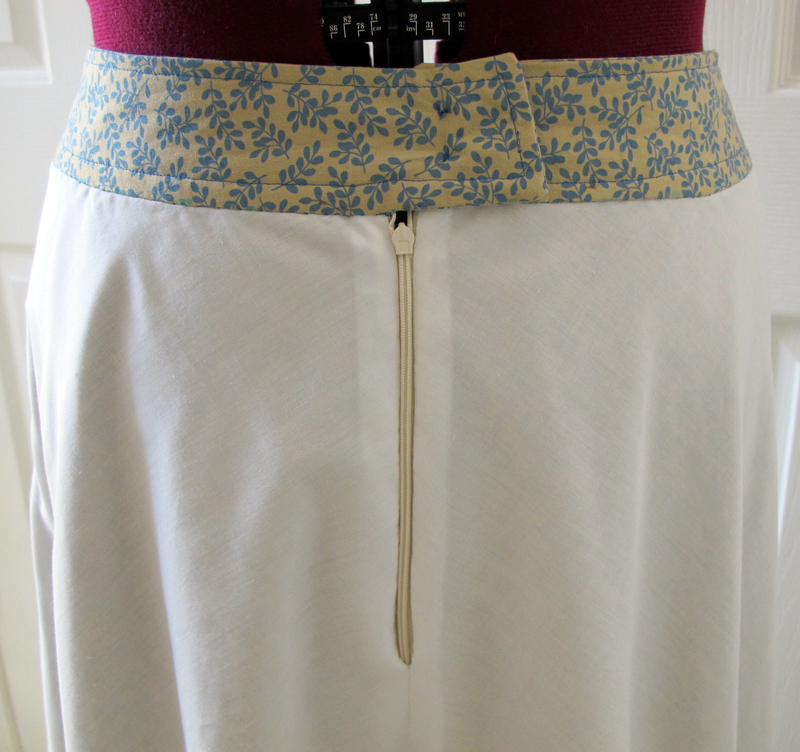 I ended up with a couple smudges of blood on the waistband facing as I hand sewed it closed. Oops! The pockets fit a cell phone, but I need to make them a little more generous in width so my hand fits comfortably. The lining is a smidge too short. 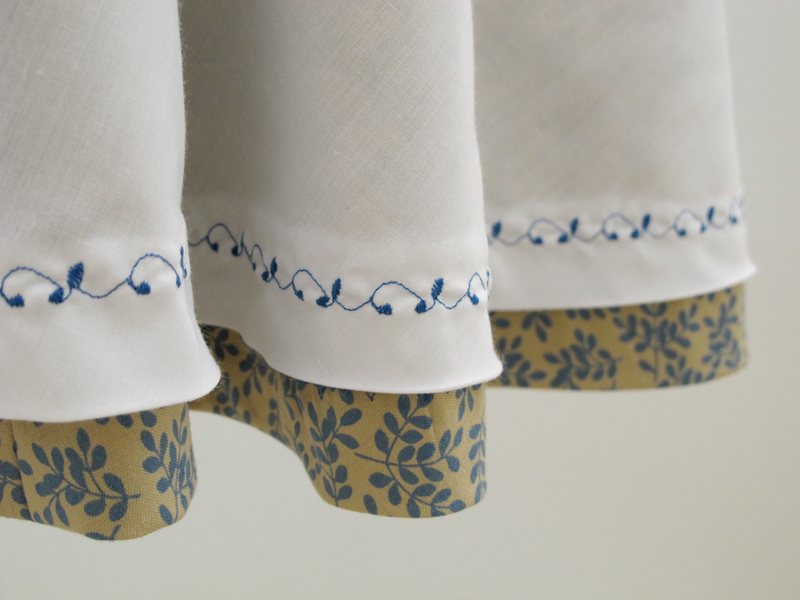 The stitching on the skirt hem shows under the lining hem in some places. I’m still not sure how that happened. Once the skirt and lining were basted together at the top, I trimmed the lining 5/8 inch and used the same hem allowance on both. 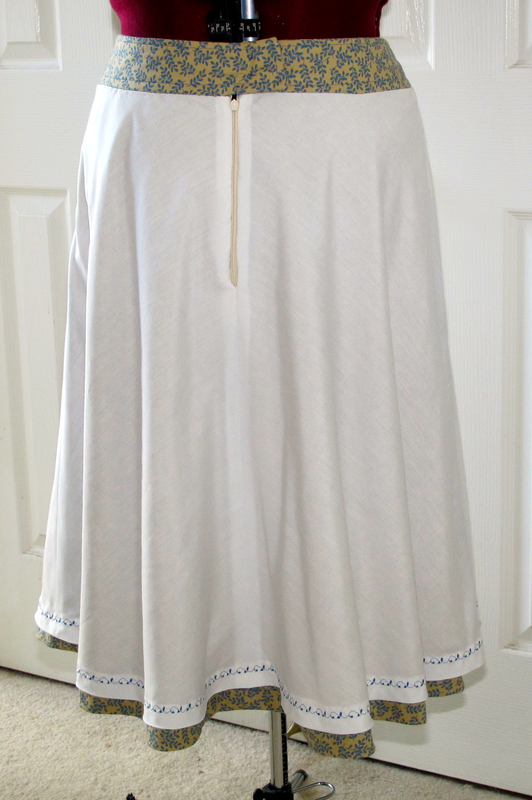 Next time I’ll finish the hem on the skirt before doing anything with the lining. 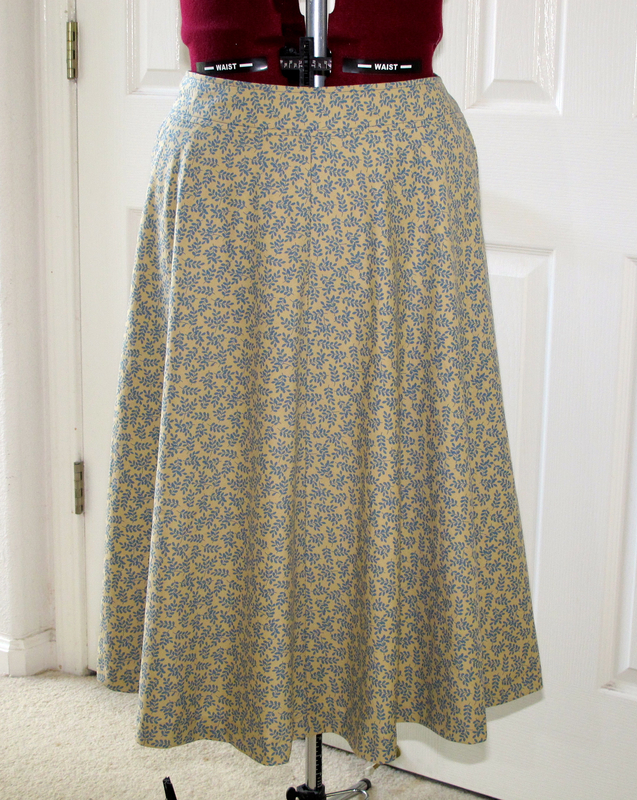 Now that the redrafted skirt pattern has passed the test, I suppose I should make it in the navy crepe so my Sencha navy silk top will have a friend to go out with, but I have enough of this fabric to make a wearable muslin of a matching top, and I’m excited about Simplicity 2151 view B, so I’m moving on to that next. Views A and B would both make great vintage looks, and a well-fitting princess-seamed top would lend itself to lots of variations. Is anything more motivating than a successful project? Thanks, Corinne! I think the fabric strikes me as dreary now because I’ve seen so many pretty candy-colored frocks since I bought it.